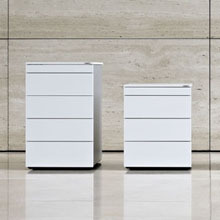 Storage is a significant workplace challenge - we offer imaginative solutions. 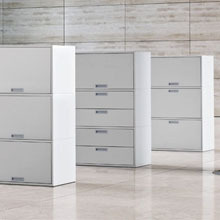 We supply a range of filing cabinets from traditional robust cabinets to those that innovatively address space saving of valuable office space. We provide a range of below-desk pedestals that are well designed, space-efficient as well as being extremely well engineered and durable. 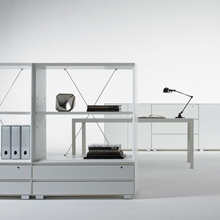 Storage is one of the most significant workplace challenges; our range offers you imaginative storage and shelving solutions.